Company loyalty does not exist. You are a number and if it in the best interests of the company, you will be removed without a second thought. The only loyalty that exists in business is to people, those around you. When you make a change, it is a time to reflect on what those people, team members, peers, customers and senior leadership, taught you and what they share as you exit. There are the usual comments of “it is a loss for the company”, “we will miss your (insert personal trait)” and from others a heartfelt congratulations on the next step in your career. From those who have become friends or close colleagues, there are commitments to remain connected. At the same time you will probably reach out to scores of people that you built close relationships with, to thank them for their support, feedback, guidance, friendship and motivation. If you are a leader who believes that you should invest in the success of others to be successful, what is most rewarding is an unsolicited note or phone call from those who’s career you impacted. There is nothing more gratifying than a team member, peer, customer or leader sharing how you helped them develop, take risks, learn and achieve a new level of success. A call from those you inspired. When the time comes for your next transition, listen carefully to what people say at that moment. To them, this is a time of purest motivation. You no longer control their review, stock grant, product discount or bonus. They are sharing how they feel about you as a leader and teammate. It is a time of honesty that can never be captured in an employee or customer survey. At the same time, ensure that you reach out to thank those who helped you succeed. Of course, you do not have to wait till the moment you exit. As you contemplate your development plan, goals and progress through the year, ask yourself – what would people share if you left today? 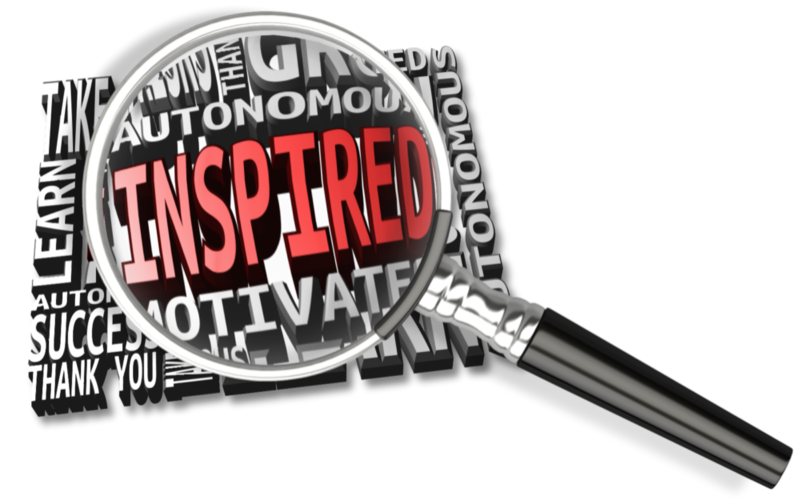 Hopefully, it includes the word inspired. This entry was posted in General Business Topics and tagged change, inspiration, leadership, management, people, teamwork by michaelweening. Bookmark the permalink.